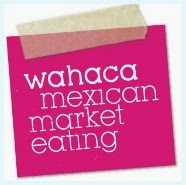 Wahaca is one of those places I had intended to go to for ages. My husband isn't the biggest fan of mexican food because there is lots of relish, sour cream and salad involved - that's his idea of hell. 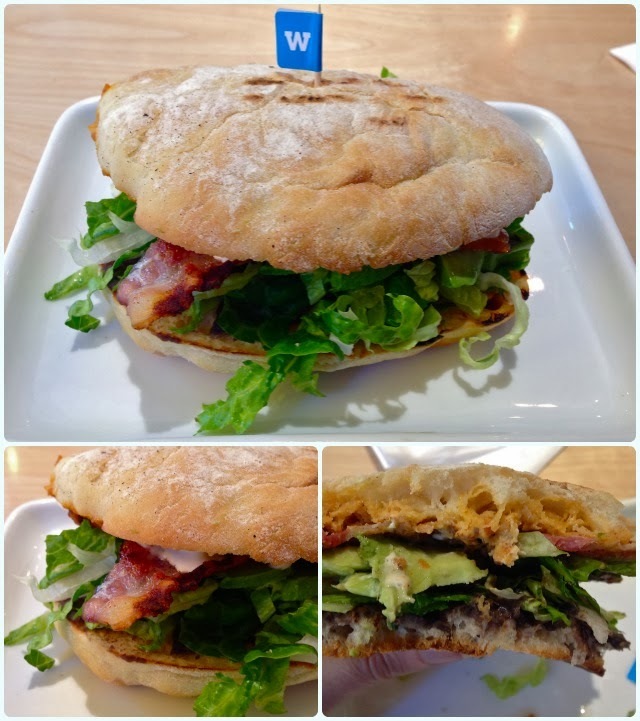 So when he was required to visit the big smoke for work, I decided to tag along and go and do a little culinary sightseeing, and as it turned out, way too much walking. I went to visit the Charlotte Street branch, as they served breakfast. 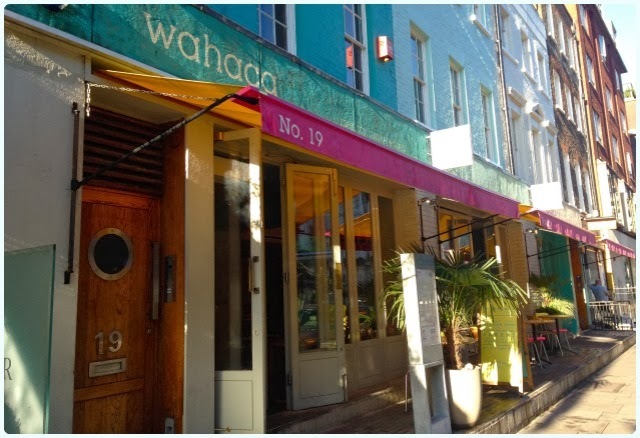 I'd heard great things about Wahaca from my friend Shaun over at FoodGeek, which reaffirmed this was a gaff requiring some attention. It was a cold but very sunny morning that I set out on my quest for a Mexican breakfast. I arrived looking a little dishevelled; eyes streaming, hands frozen and with hair resembling that of Worzel Gummidge. I was welcomed in by a friendly chap who proceeded to offer me a hot chocolate. Inside is a mish mash of bright colours, made even more spectacular by the bright sunlight. I imagine it's a wonderful place to sit on a warm sunny day with the retractable glass walls open. 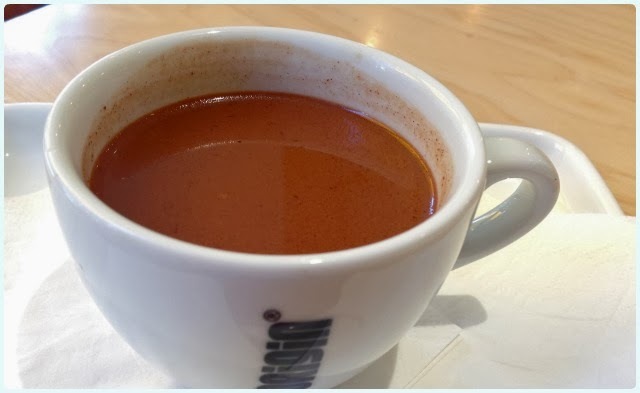 Hot chocolate - the Mexican way: this is made with real chocolate and has my favourite magic ingredient blended in - cinnamon. A wonderful way to start your day! salsa, lettuce and streaky bacon. Oh lord it was divine! The salty bacon went perfectly with the black beans and fresh avocado. I could have eaten two. 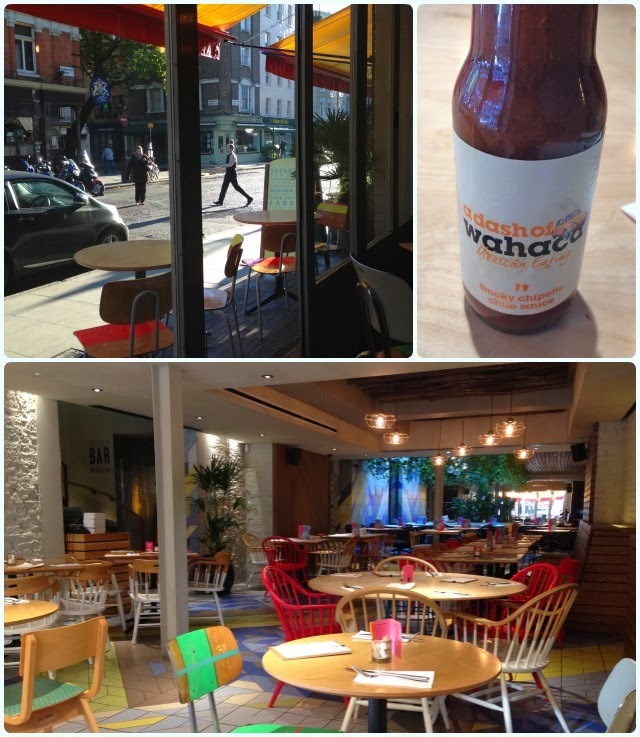 I would highly recommend breakfast at Wahaca, and I have it on good authority that their normal menu is just as fantastic. 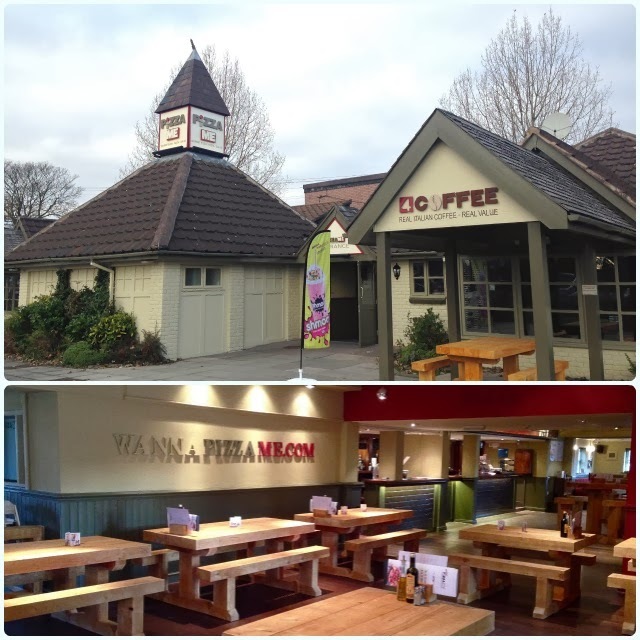 The staff were chatty and the food was fresh, tasty and filling. What more can you ask for? That little lot should last you until at least Boxing Day. The competition runs until 8th December 2013. 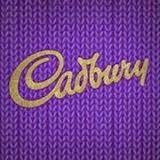 Disclaimer: I was not paid for this post - I just thought it was a belting giveaway and I adore Cadbury's chocolate! 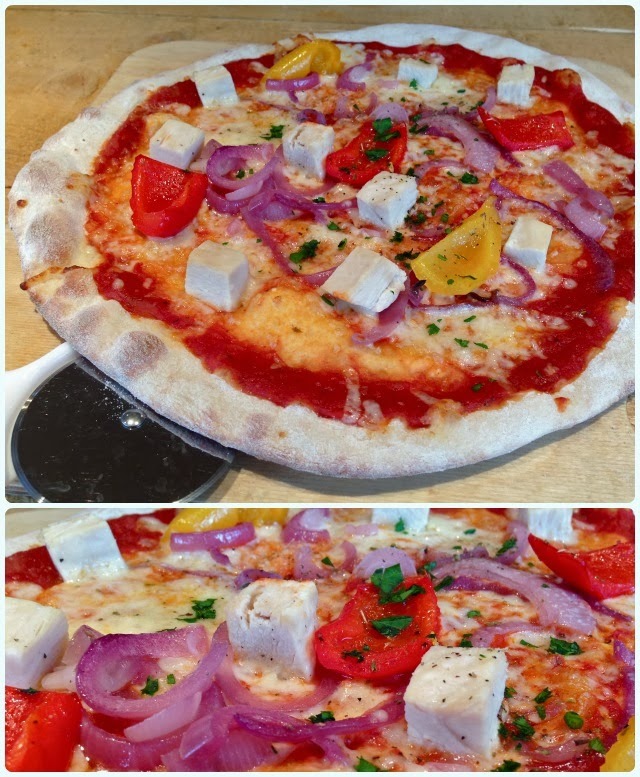 Last week my health conscious yet pizza loving husband came home waxing lyrical about a new pizza place which had opened up the road from where he works. 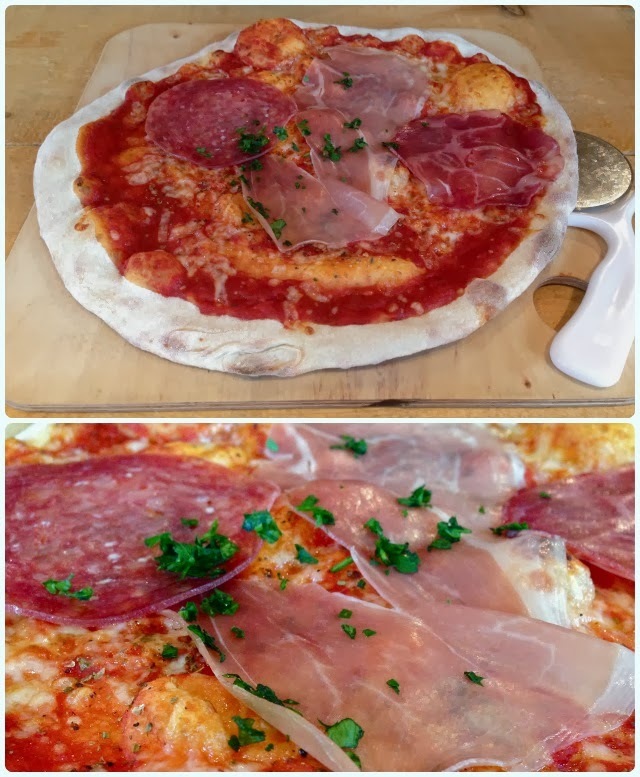 They were offering fresh, home made pizzas for £3.95 at lunch and £4.95 in the evening. He always has a healthy lunch, but this was just too tempting! When he suggested we go for lunch last Saturday, I was interested in seeing what all the fuss was about, and whether they were really offering anything decent for £3.95. In all honesty I imagined some little shop with plastic seats, sort of semi takeaway-ish. I was rather impressed by the large green building with a decent car park. 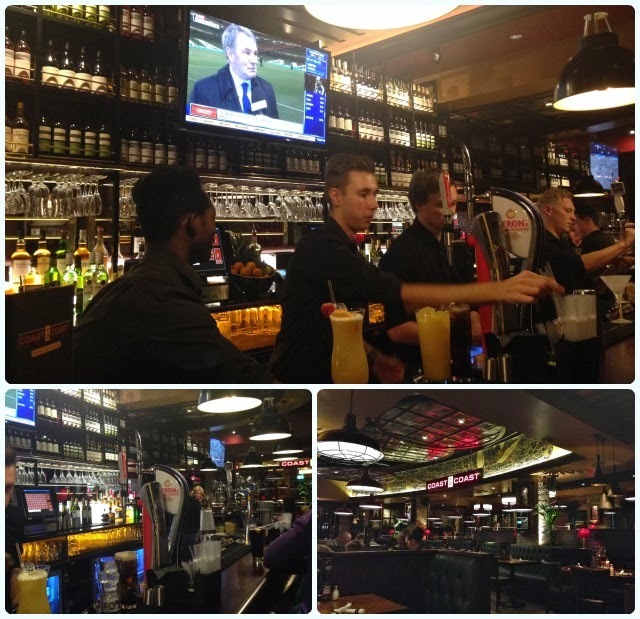 Inside has a modern bar area with a lounge to one side. The main restaurant is bright and spacious with modern prints and chunky wooden tables and benches. They don't look the most comfortable of articles, but I can't say that it was a problem for us. The only issue we could see with these was the inability to wipe down the rough wood after little spillages have occurred. As well as pizzas, they also have an inviting list of pasta and salads, and a list of house specials. Polpete pomadoro: This was Italian meatballs in a spicy tomato and basil sauce served with toasted bread. The sauce was flavourful and didn't taste bought in (always a good sign - and if it was, it was half decent! ), and the meatballs were well seasoned. 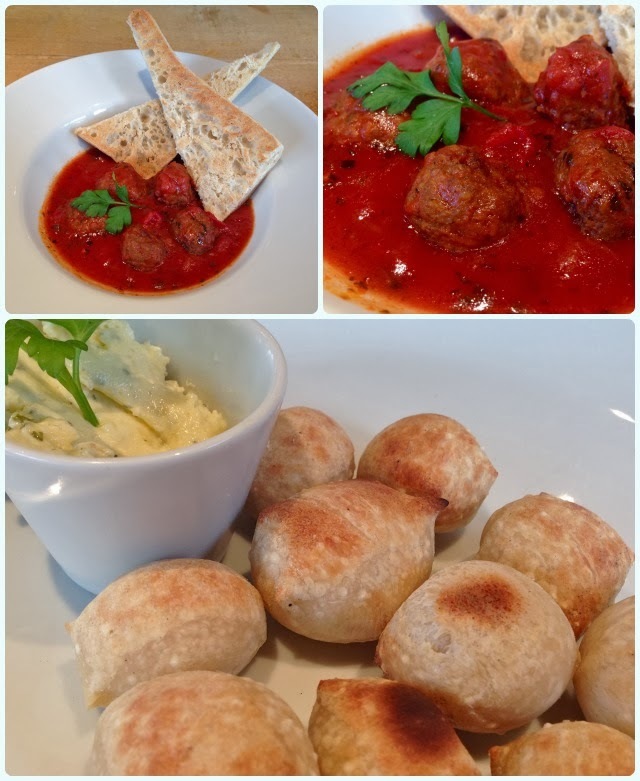 Dough balls: They may be a tad boring, but I love them! Crisp on the outside, but warm and fluffy on the inside. Pollo pepperonata: All the pizzas are home made, so you get that lovely irregular shaped base and inviting fresh bread smell. They are a medium size and come whole with a cutter. They don't have a huge amount of toppings, but you really can't argue for £3.95. Even so, I only managed half of mine so they boxed the rest up so I could take it home. 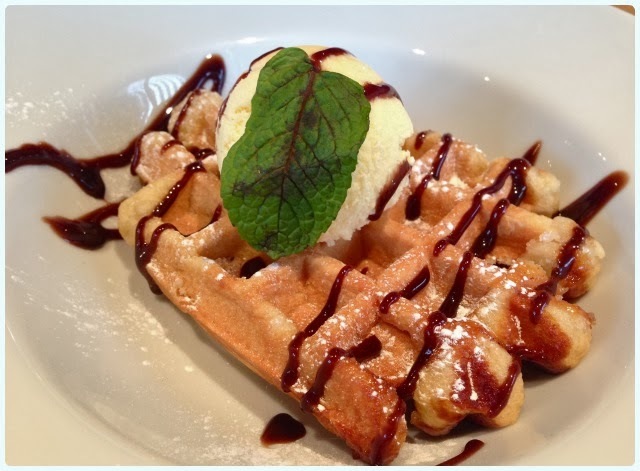 Waffles and ice cream: I love waffles with ice cream. These were not the home made variety, and could have been improved by being served warm, as they were a little firm for my liking. Otherwise, they would have been rather tasty. 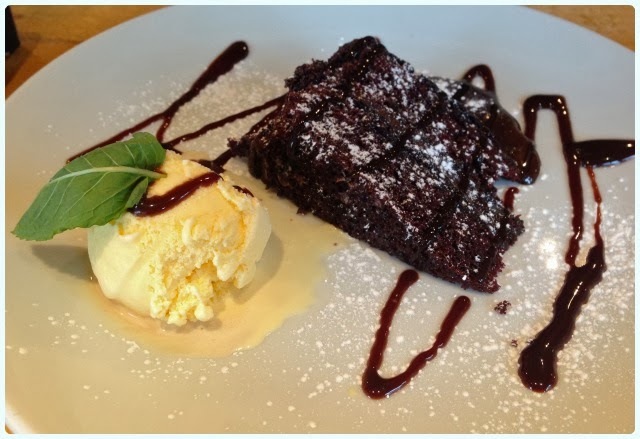 Chocolate fudge cake: Again, not home made but decent value for money at £3.85 with a choice of ice cream. 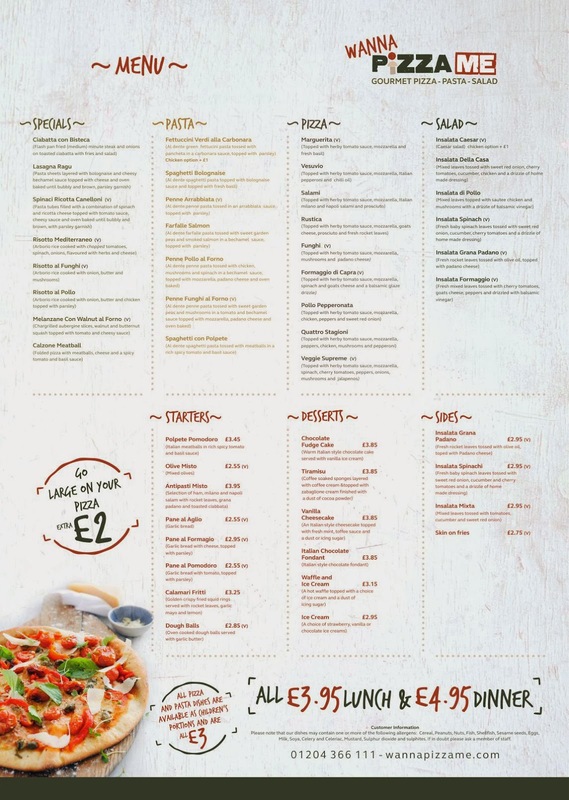 At around £30 for a three course meal and two rounds of drinks, Pizza Me is ideal for a cheap lunch out, and won't break the bank if you have a couple of kids in tow. There was a family sat nearby whose children seemed to be loving their pizzas, whilst mum and dad seemed just as contented. Our lovely waitress appeared to be struggling with her English a little bit, but she made up for it with her smiles and charm. Don't go expecting the world, but in terms of value for money, there are not many other places like it. It is the season for giving... so I have another brill giveaway, which I think will be popular with all you bakers (and biscuit eaters) out there! The creative little creatures at Easy Art have sent me one of these pretty canvases to give away to one of you lucky lot! It's is perfect for brightening up any dreary kitchen wall and would make a lovely gift. Disclaimer: This is not a sponsored post. Easy Art have kindly donated this canvas for the giveaway. Cute eh? 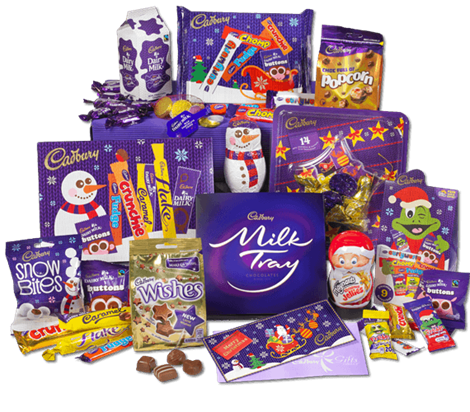 Yes, I have yet another festive giveaway! Those red loving rascals at Red Candy have given me one of these stunning cake tins to giveaway. 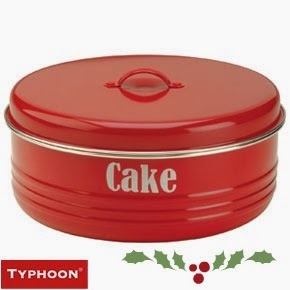 As the carol goes... 'tis the season to eat cakes' (or something like that), so this beautiful vintage style cake tin is the perfect accessory for the job. I know all our cake clubbers will adore this, as it's the perfect size to transport your cake, but also a decent 'trough' to bring cake home in too. 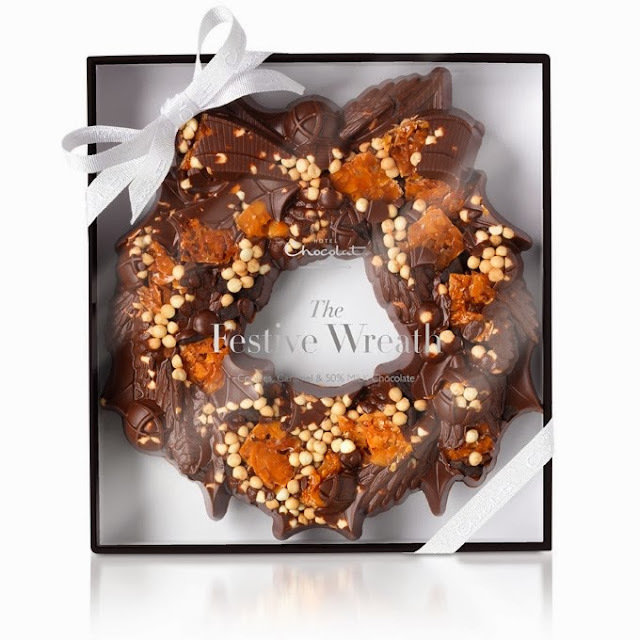 Imagine turning up to your office buffet or a friend's house over the yuletide period with this bad boy in hand! It says 'I mean business... and I have cake about my person'. I could get used to this. 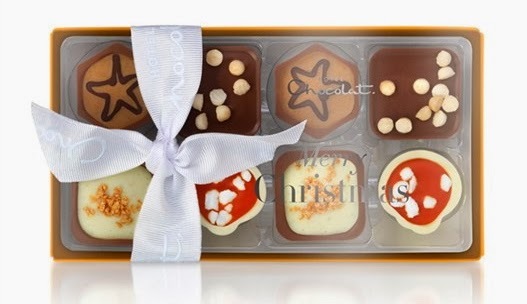 This week those lovely chocolatiers at Hotel Chocolat asked me to test out one of their Christmas chocolate gifts. Like there was ever any doubt that it would be anything other than spectacular... I picked the strangely named Christmas Pocket Selection. 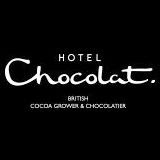 I say this because chocolate has spent time in my pocket, and has not lived to tell the tale. Yes, I was probably about five, but the memory of wasted chocolate stays with you for quite some time! At £8.50 this makes a nice little stocking filler which feels rather refined indeed. It contains just the right amount to eat alone without actually making yourself sick, which is always a bonus. 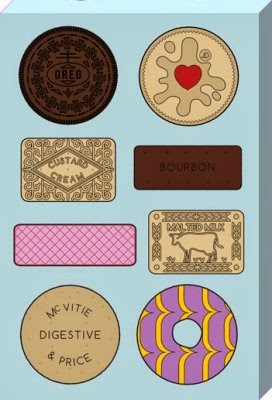 I could have eaten mine whilst lay in a hot bubble bath with a good book, but as I've been a right pig recently, I took them into work to share with my hard working pals. Disclaimer: I was not paid for this post. Hotel Chocolat did kindly send me a box of chocs to sample, but I shared them with my chocolate loving pals! Everyone loves an early Christmas present. 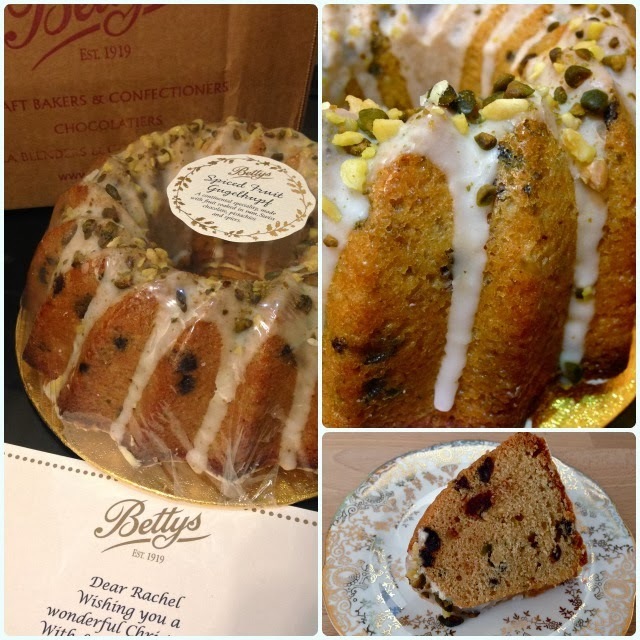 Last week my lovely friends at Betty's sent me a delicious Spiced Fruit Gugelhupf from their new festive range. Knowing I love all things bundt related, they thought it would be the perfect prezzie, and they were right! Obviously I wanted to test the cake and report back... rude not to eh? It's very much like a tea loaf with the Yuletide necessities such as dried fruit, peel and almonds, but also pistachios, chocolate chips and a nip of rum. 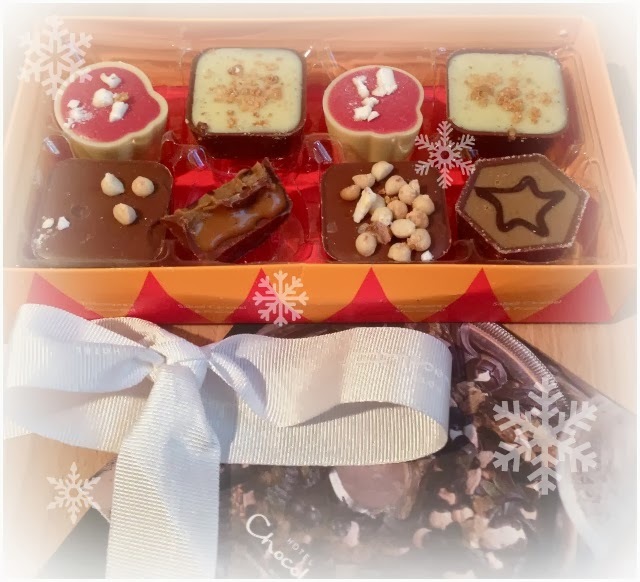 It came tucked up tightly in a Betty's branded box, and was wrapped for freshness - the perfect gift for anyone you may struggle to see in person this Christmas period. Who wouldn't love to receive a cake through the post? Thank you Betty's for my lovely cake - I decided to share mine with some of my Betty's loving pals to spread a bit of the old Christmas cheer! Disclaimer: This is not a sponsored post. I did not have to write about this cake, but chose to because it was so ruddy delicious! You've got to love a bit of controversy. As soon as the signs went up on the boards around the Coast to Coast site, folk were Googling what this meant for the Horwich dining scene. That chit chat on Twitter was all about the price of the humble burger. We even had a taxi driver ranting about it. Twenty minutes from Horwich Parkway train station is Manchester, playing host to the likes of Solita, Almost Famous (RIP - for now) and Luck, Lust, Liquor and Burn serving cheeseburgers for under a tenner. Likewise, just outside of Bolton you have The Farmer's Arms serving up some mouth watering burgers - all at £8.95. 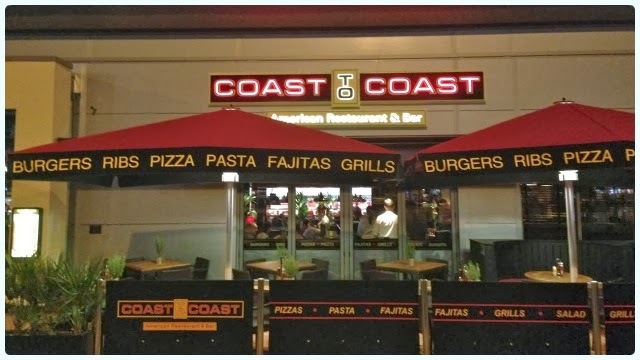 Coast to Coast's cheeseburger was £11.75 with the double version hitting £15.95. I've seen these prices in Manchester, but will this work on a retail park in Horwich? We went the day after we got back from New York, still jet lagged and craving the belly busting delights of the Big Apple. It seemed the perfect time to test a place claiming to serve 'authentic American food'. We arrived about 6pm to be greeted by the front of house host, who was a tidy young chap in a sharp suit with slick hair. We were given one of those 'buzzer' things and asked to take a seat in the bar, our table would be about twenty minutes. 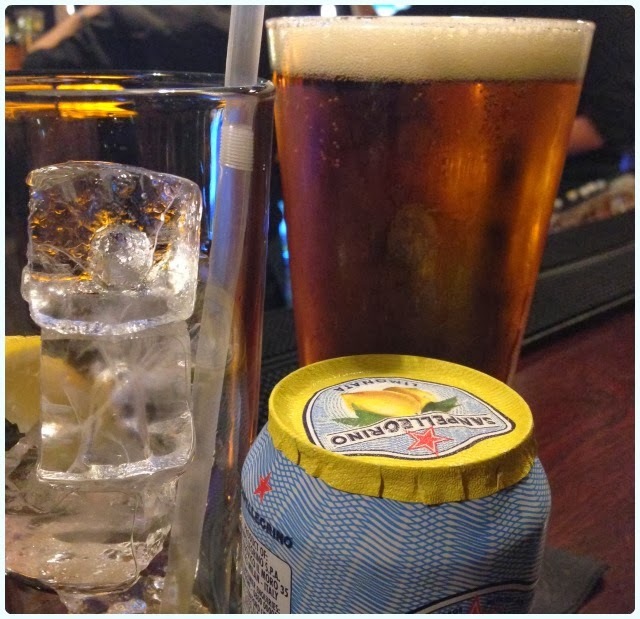 We were happy to sit and take in the scenery, and both agreed that we loved both the decor and vibe of the place, which reminded us of the last bar we had been to in New York called the 3 Monkeys. They had the ball game on (granted - our football not theirs) and the bar area was a hive of cocktail making activity. There was a decent craft beer list too; Sam Adams, Goose Island and Brooklyn gave us a good feeling. Within ten minutes we had been called to our table, and introduced to the floor manager and our waitress for the evening. We wanted to love it, we just hoped the food matched the first impression. Calzone New York Style - Meatball Special: This smelled wonderful when it was set in front of us. Fresh bread and a herby waft came from the plate. Whilst this was quite tasty, my husband noted that there was something a little artificial about the tomato sauce. Whether it was from a jar or something they had added to it, it was very sweet. 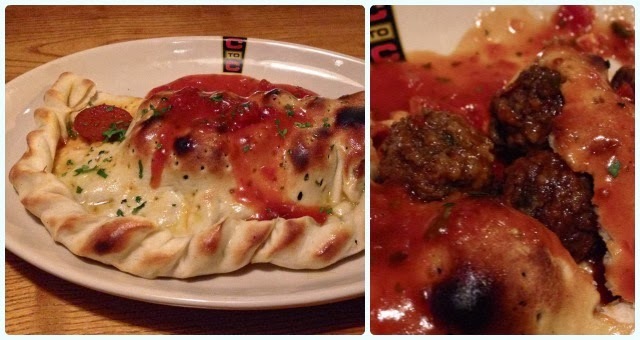 However the crust was good and the meatballs half decent. 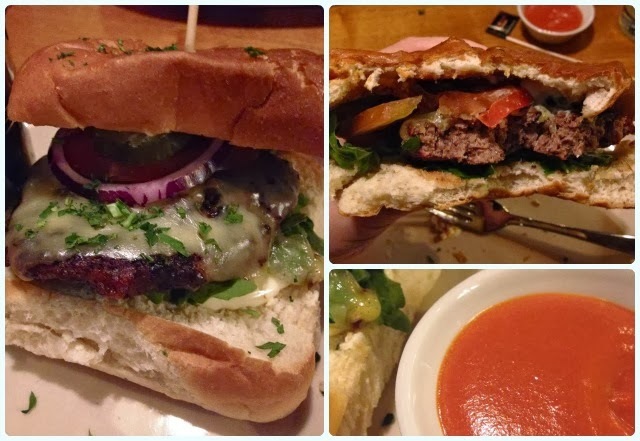 Cheeseburger with spicy ketchup: This did not look like the picture in the menu. Rather than a golden brioche-looking bun, it was more like something from the Asda value range. I've never seen one like this in America. To be honest it tasted ok, if not a little overdone. However, the spicy ketchup was terrible, so sickly I took one dip of a chip before abandoning this all together. A real shame. 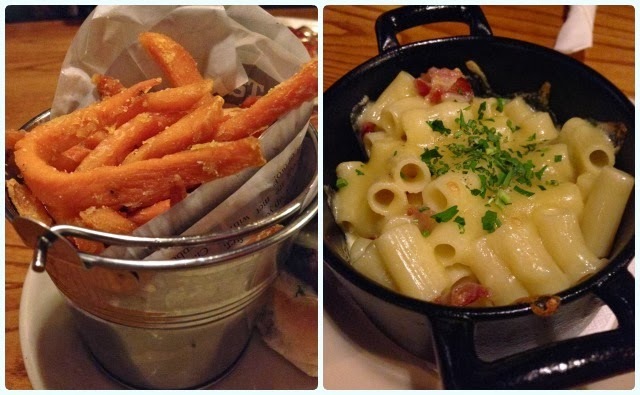 Sides - sweet potato fries and 'mac and jack' with bacon: The sweet potato fries were everything I had hoped for - sweet and crispy. The 'mack and jack' was a little lacklustre, unfortunately all the sauce had pooled at the bottom and was quite bland. The top bits with bacon and melted cheese were better, but again it lacked seasoning. Apple and cherry crumble with custard: A bit of an odd combo, but it was cold outside and this seemed the perfect antidote. 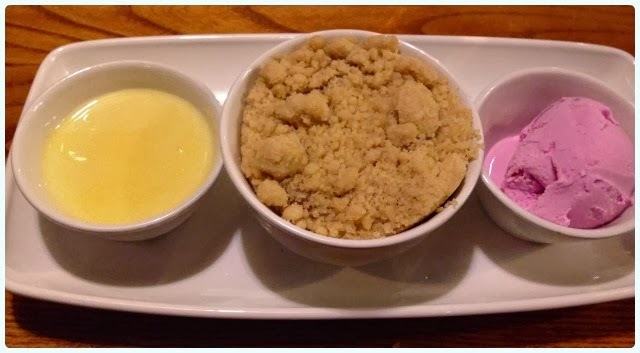 First impressions were that this is a very odd way to serve crumble. You have to eat some of the crumble to have space to add the custard, and even when you do pour it, it's from a bowl so spills onto the plate. 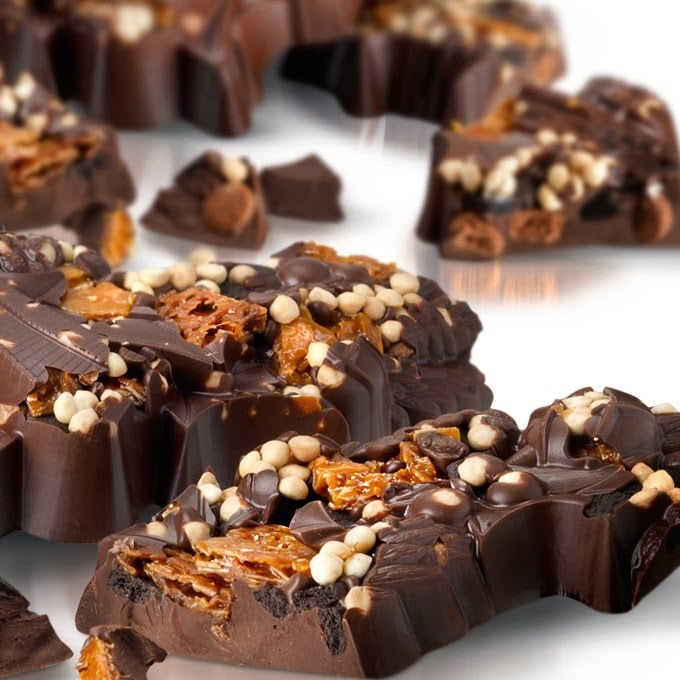 Unfortunately, there was nothing crumbly about this topping. When pushed with a spoon this rolled back into raw pastry dough. The filling itself was quite pleasant, but again (and I may be wrong) it didn't taste home made as it was quite syrupy. The bubblegum pink ice cream tasted sickly and artificial so I left that. Profiteroles: Same three pot set up here too. 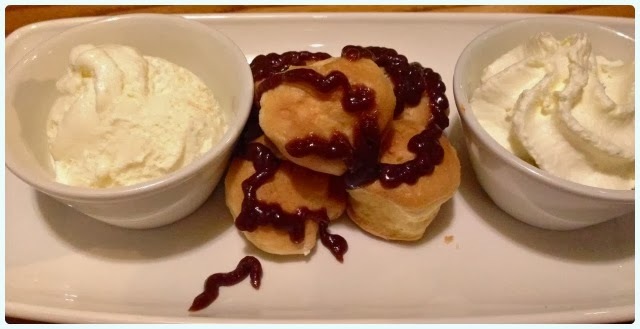 These tasted fine, but a drizzle of chocolate sauce over small profiteroles was a little disappointing. For the best part of £6 you would expect more, and indeed we have received more from other restaurants. You can only compare an establishment and their dishes to other places you have tried, but as I'm sure any regular reader would know, we eat out a lot. We have sampled comparable dishes many times before, therefore my comments are based on comparisons to other restaurants offering the same dishes at a similar price. 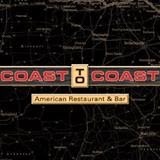 At the moment I would say that Coast to Coast is not offering good value for money, as many of the items we tried were a bit of a let down - but it wasn't all doom and gloom. We spent around £60 on our meal, but there appears to be quite a reasonable lunch menu including two courses (from a set menu) for £10.95. I am tempted to return in a couple of months to see if things have got any better. As things stand at the moment, I'm sure there will be success in the early days as everyone is eager to try somewhere new. I worry for the restaurant long term if they continue cutting corners. I did not start blogging to do scathing reviews, it's not in my plan. I sincerely hope that some of the points raised above can be taken on board, and that my feedback is taken as constructively rather than as criticism. I want to like this place. It's on my doorstep and reminds me of happy times in the States. I'd be interested in knowing what you think if you go. Bakers know it as a legendary place which inspired the likes of the London institutions Primrose and Hummingbird... I know that it sends my sister-in-law into fits of excitement every time its name is uttered... 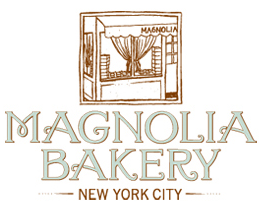 It's the one and only Magnolia Bakery. 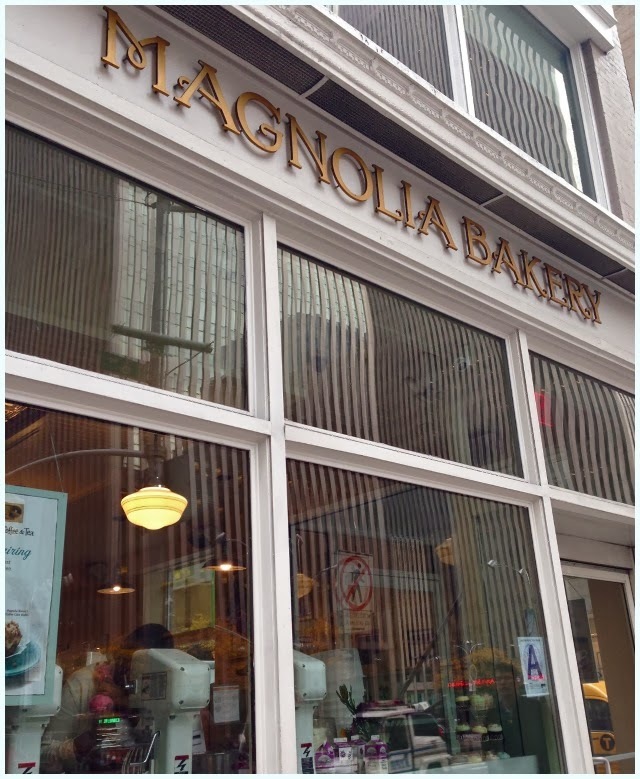 We visited the day that we went to the Rockefeller Centre, when we had just had breakfast at Bouchon Bakery, so we got cakeaway for later. In a city where everyone's in a rush, and apparently no-one sleeps, customer service and friendliness is sometimes lacking. Magnolia was one of the exceptions. 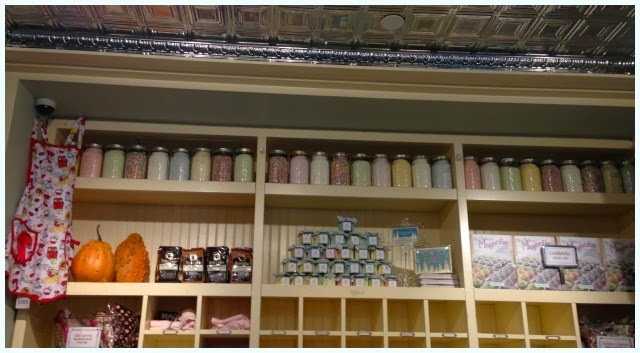 I walked through the door to see shelves stacked with jars of sprinkles, odd pumpkins, pretty pastel books, and vast amounts of cakes. 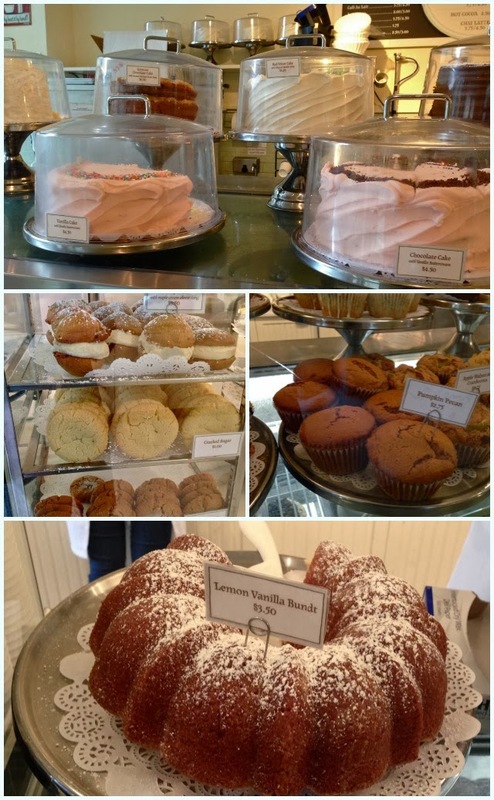 I thought they would be all about the cupcake (boo to cupcakes), but I was pleased to see a wide variety of different buns, cakes, biscuits and pies. After an exhausting day of walking many miles, eating lots of lovely food and drinking lots of craft beer, we headed back to the hotel and collapsed on the bed. After a bit of a power nap (an hour and a half...) I awoke to realise were were not in Hooters as planned, but had overslept and now had no energy whatsoever. Whilst I let my husband sleep, I remembered the bag of goodies at the foot of the bed! The bundt had a nice sugar crust on the bottom, but was quite heavy in texture and didn't have much of a lemon flavour. Perhaps I'm a really harsh critic, but it wasn't what I was expecting at all. The cinnamon bun on the other hand was beautiful. A little denser than a Duffin, but very tasty nevertheless.